Edward Hopper was active/lived in New York, Massachusetts. Edward Hopper is known for town-landscape, genre and figure painting. Seller's Notes/Description: Levin 82; Zigrosser 22. 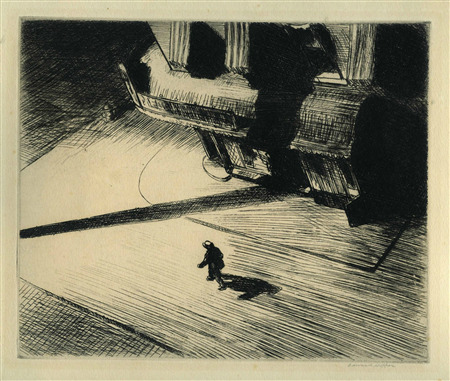 One of six prints included in a folio titled "American Etchings", published in an edition of about 500 in the December 1924 issue of the New Republic. Number of extant impressions unknown. Signed in pencil lower right margin: "Edward Hopper".